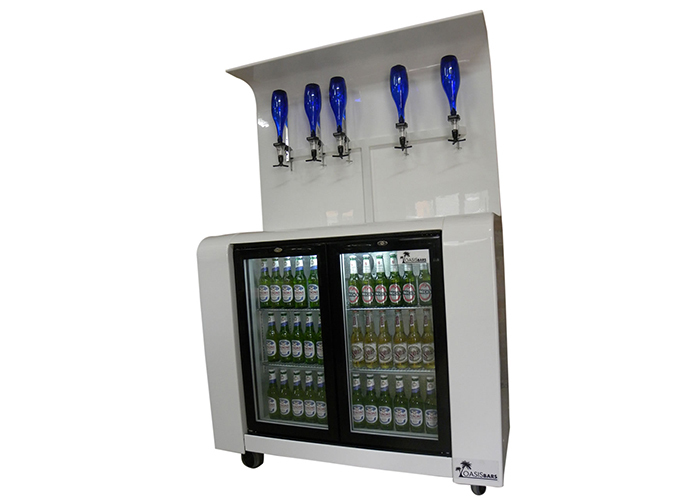 The Back Bar is the perfect addition to the purchase of any of our front bars, and features the refrigerated area that most venue owners will require. 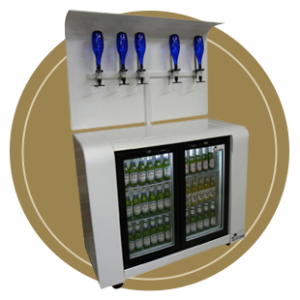 The mobile Back Bar unit is fitted with a double bottle cooler and T bar for optics, which provides plenty of space for a cash register. 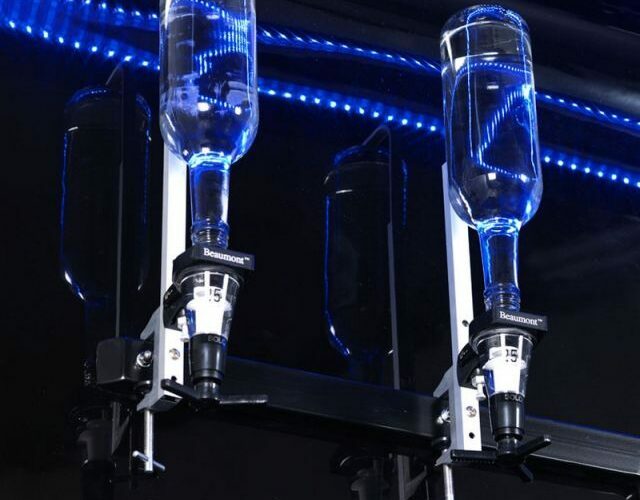 Alternatively, if optics are not being used, a tiered bottle display can be placed along the top. 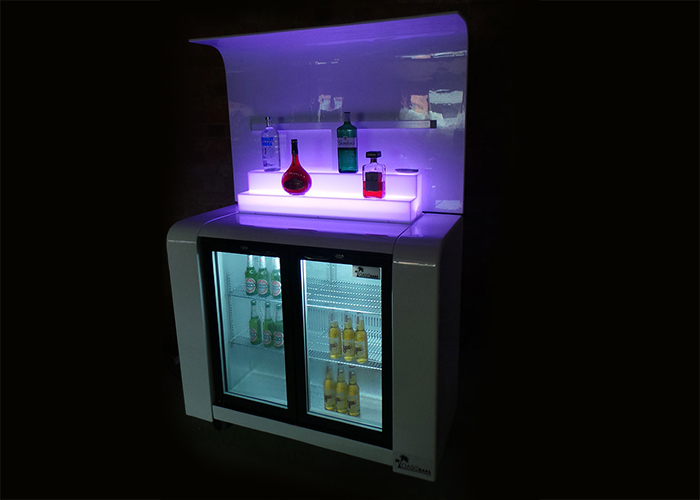 The Back Bar is a stylish accompaniment to all other Oasis Bars. 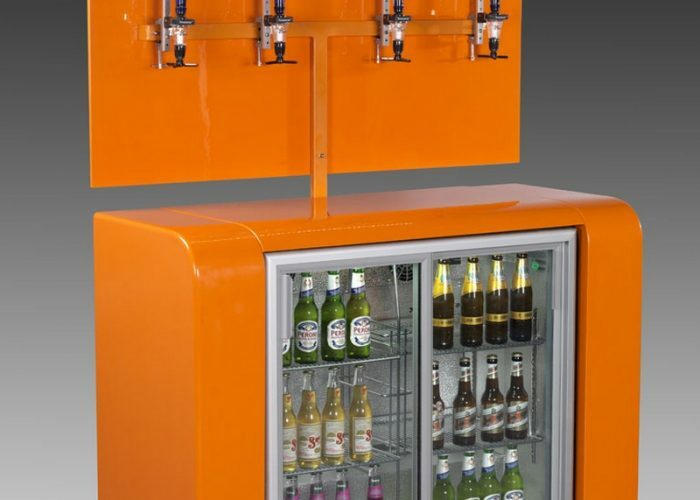 Available in any colour, the Back Bar unit offers a variety of storage options, with space for optics, a cash register, or a tiered bottle display on top. 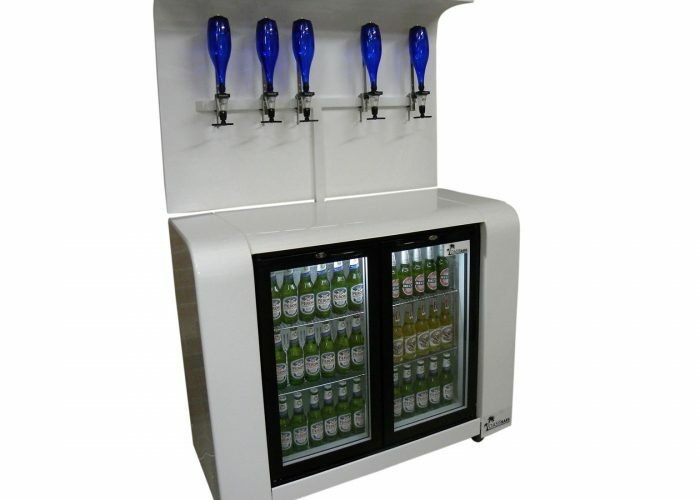 Fitted with 4” castors and made from GRP, the Back Bar is fully portable, yet stable in situ. 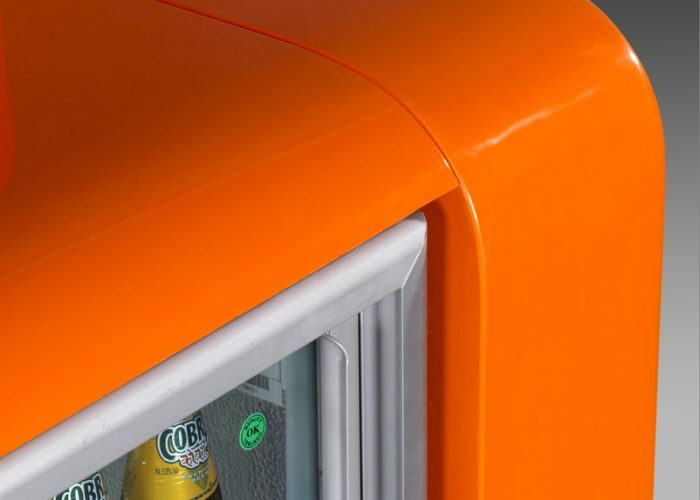 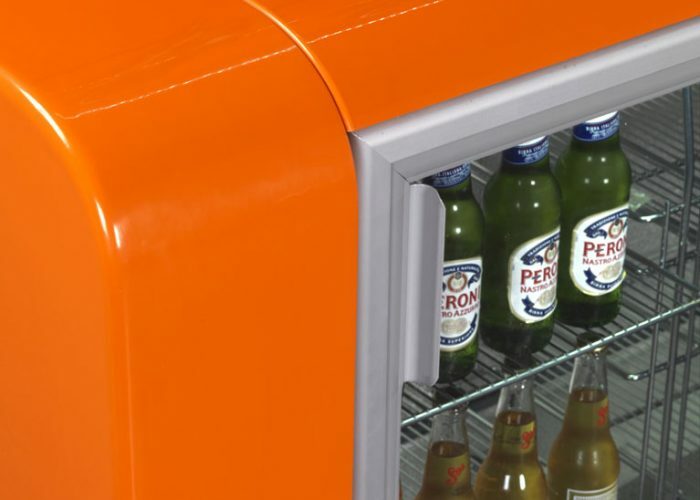 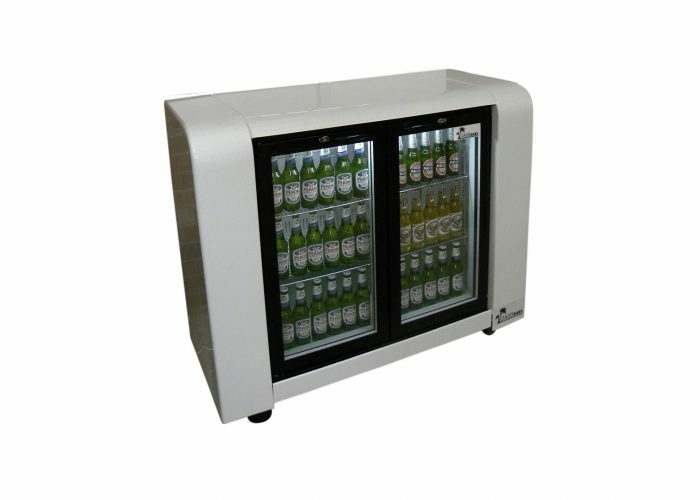 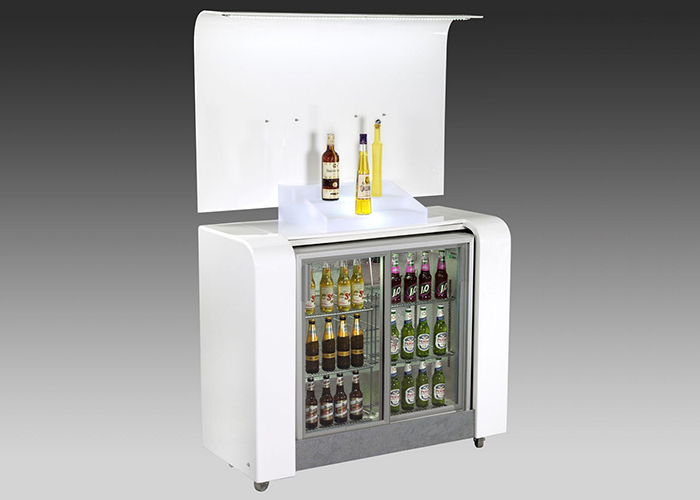 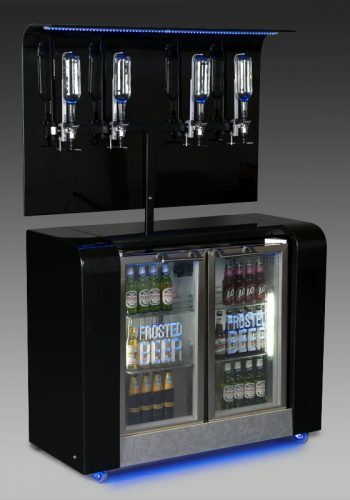 The Back Bar offers a durable, long-lasting refrigeration option to complement our range of mobile bars. 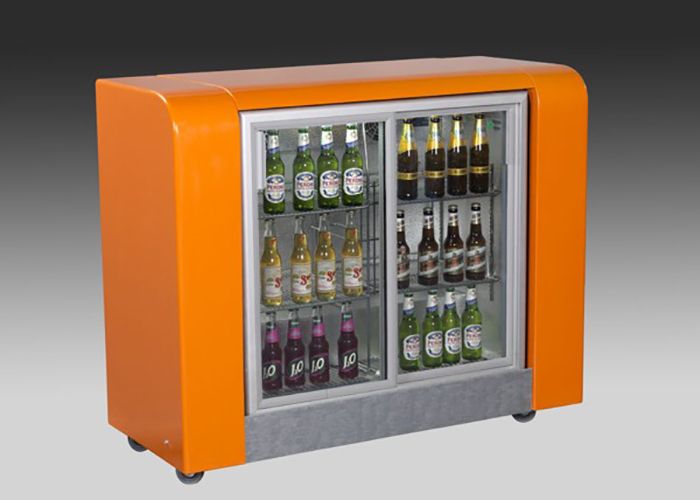 The Back Bar can be made in any colour, to match either an existing bar or one of our range of Oasis mobile bars.